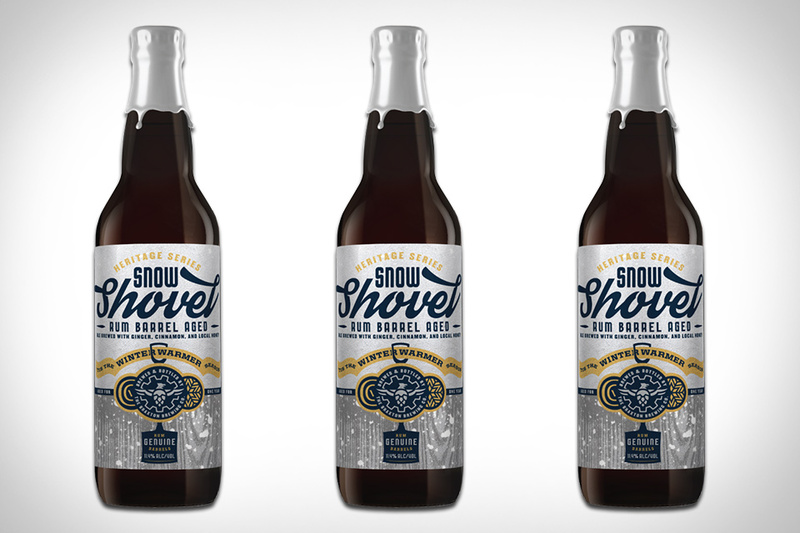 Braxton Brewing already have a great Winter Warmer on their hands with Snow Shovel, and now they've taken it up a notch with the release of Braxton Brewing Rum-Barrel Snow Shovel Beer. The malt forward beer has ginger, cinnamon, and local honey in the mix, and was aged in Caribbean Rum barrels for over a year. A sweet, warming treat at 11.4%, it's brewed to thaw you out on a cold winter night. Each year, the folks at Upslope Brewing release a limited, small-batch, holiday beer that is the companion to their Christmas Ale. Upslope Brewing Wild Christmas Ale is this year's installment, and marks Volume 10 of the Lee Hill Series for the brewery. It's a sour ale that clocks in at 9% ABV, and spend 11 months aging in Leopold Bros Rye Whiskey barrels before re-fermenting with 500 pounds of cranberries. It's a unique release for the holiday season that is sure to please fans of wild and sour ales. Barrel aging beer has never been bigger, but there's a new brand of barrel making its way into the hearts of craft beer brewers. Green Flash Divine Enebro Beer is a classic Belgian-style Tripel, but instead of using a bourbon barrel to add new flavors, they've aged this 10.8% ABV brew in gin barrels. They've also added botanicals to the mix in an effort to mimic the flavors found in a classic gin cocktail. Only 600 bottles exist of this unique beer that's bound to be a big hit with fans of experimental brews. When it comes to holiday beer traditions, Sierra Nevada's Celebration Ale is one worth reaching for every year. Brewed at Sierra Nevada headquarters in Chico, California since 1981, this fresh hop ale is a celebration of the holidays and the first hop harvest of the season. Unlike most holiday beers, no spices are added to the beer and it instead relies on a hop forward approach to satisfy IPA lovers. One of the first IPAs ever brewed, though never marketed as one, Celebration is a fantastic representation of consistency and tradition from one of the first craft breweries in the country. The inspiration behind the newest pale ale from Stone Brewing comes from two places, both providing a different hop variety to the equation. Stone Brewing Ripper Pale Ale takes the citrusy, spicy Cascade hops from San Diego — the brewery's home town — and adds in gentle, tropical fruit forward Galaxy hops from Australia. The 5.6% pale ale taste more like an IPA thanks to the fresh hop combo, but everyone knows the best pale ales are hop heavy anyway. While it's difficult to find a flavor that hasn't been infused into beer, it's rare to find one that not only nails that flavor, but is balanced as well. Funky Buddha knows a thing or two about nailing flavors, and French Toast Double Brown Ale is yet another example of their expertise. The 8.8% ABV ale features cinnamon and vanilla flavors, along with just enough sweetness from maple syrup to have you hunting for your next taste. While they aren't the first brewer to introduce the idea of beer for breakfast, Dogfish Head Beer For Breakfast Stout does break the mold with their choice of ingredients. This 7.4% stout includes coffee, brown sugar, maple syrup, and the Mid-Atlantic breakfast staple, scrapple. Made from cornmeal, spices, and pork scraps, scrapple adds a unique element to this stout that is great with the most important meal of the day — or any meal for that matter.